When you walked in a mall or street. you will saw many different types of food booth. it mainly for ice cream, coffee, juice, crepe, cake, candy, frozen yogurt and more. 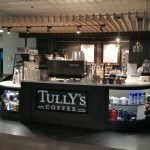 in this article what I wanna share is a very luxury mall coffee kiosk design. 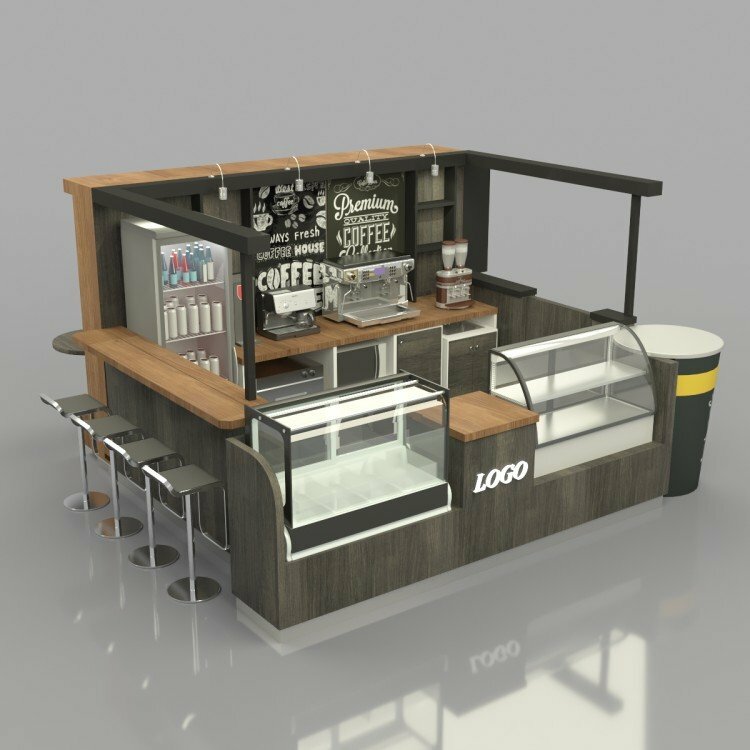 if you’re interested in your own coffee shop, the below model can be a reference. 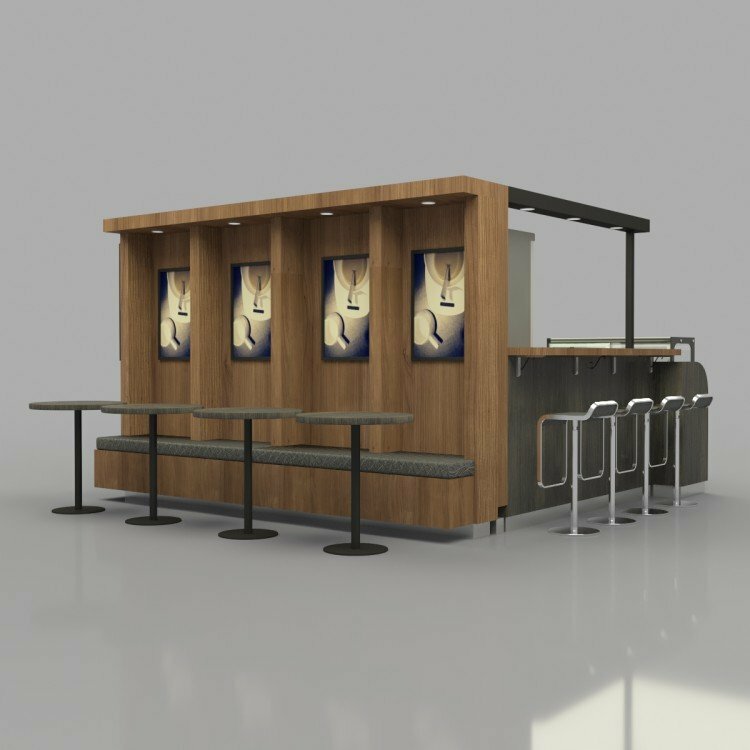 When you saw this kiosk first eye, you will find it is very luxury, mainly tone is grey, match some brown wood grain and white. the front part of this kiosk with two big display fridge, can for showing cupcake and bakery. in the middle is a small counter for the cashier. the left sides is a small bar counter, with four bar chair for the customer used. The back sides also with a long bench and some table and chair. the customer can choose according to their needs. 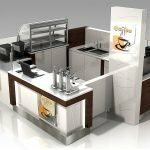 you can see the kiosk backsides with a long counter, almost all machine is here, beverage fridge, coffee machine, juice machine, oven, and audience refrigerator. You can see the kiosk four sides with many spotlights. it’s very nice and attractive. Size : 4000X3000mm or customized. Color: gray, brown wood grain, white or others. Material: plywood, fireproof plate. corian. Accessories: lightbox, spotlight. acrylic logo. 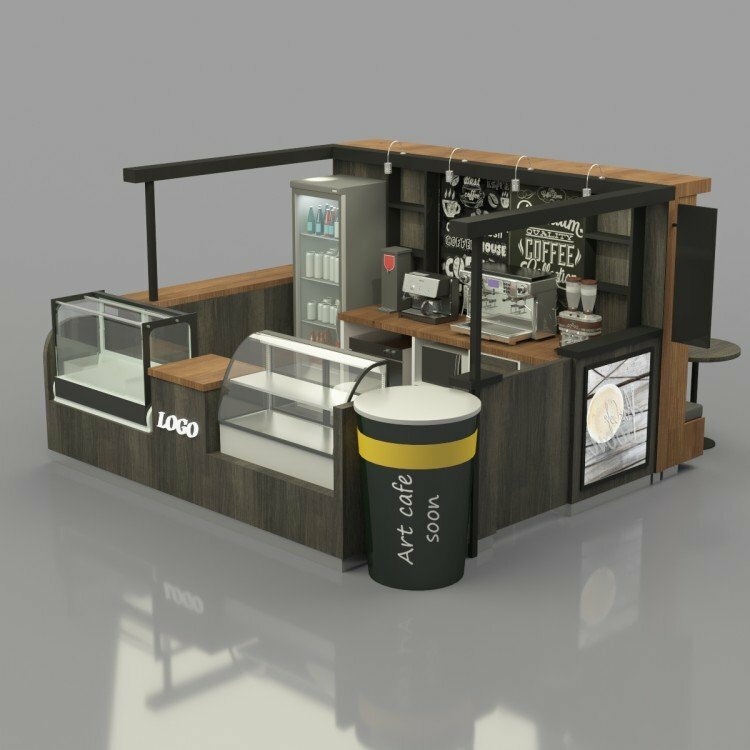 Thanks for your time and reading, if you wanna more furth info or interested to start a coffee shop like this one. please feel free to contact us at below, welcome inquiry.